There has been SO much hype around this product that I just had to get my hands on it. The thought of a face mask that could rejuvenate my skin leaving me with that to die for glow was necessary! So I began quickly scrolling through their Insta feed – as you do - to see what this cult brand was all about and what results other people were seeing. 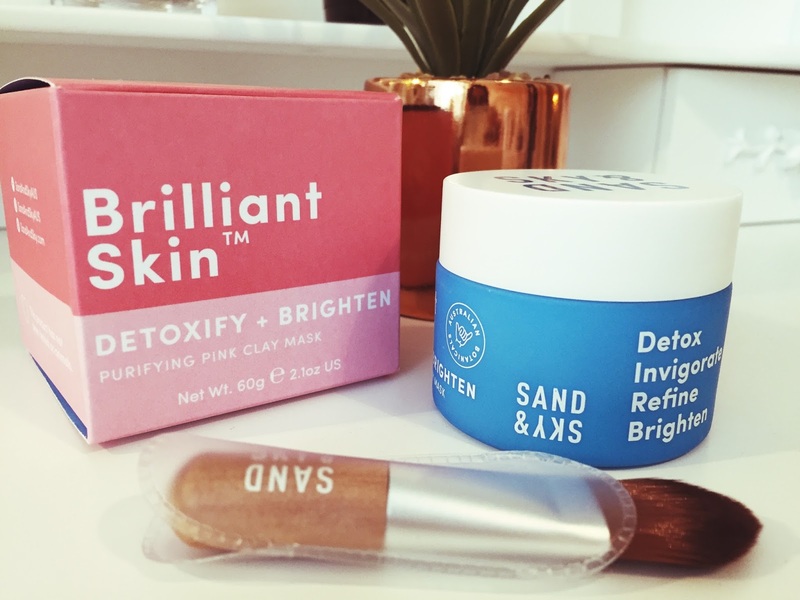 According to the Sand & Sky website, this pink clay mask would not only purify my skin but also help tighten my pores. After reading this, I decided to go ahead and buy it. I was a little surprised at the price tag - £39 for 60ml was a lot of money. There was a silver lining however. Due to the cost, I got next day delivery so didn’t have to wait long to start using it. I decided the best day would be a Sunday – everyone loves to Netflix and chill on a Sunday (am I right?) plus I usually have a pamper day on a Sunday to get myself ready for the busy workweek ahead. You apply this to clean cleansed skin – I use the Burt’s Bees cleanser, which I swear by. Then you take the little brush it comes with and evenly apply to your face. It doesn’t clump and it dries quickly. For me, I always experience a slight burning sensation when I first apply it. I think it’s just my skin absorbing the product. It’s not painful and does fade as the product dries. As the mask dries you start to feel your face going tight which I took as a great sign that it was working. After the 10-minute wait time is up, you get warm water and gently soak it off your skin. Immediately, my skin looked brighter, cleaner and very soft, I was so impressed. It’s been four weeks since I first tried out this clay mask and I can honestly say the results I’ve seen are brilliant. My skin constantly feels clean and smooth. It helps get rid of any greyness that I may have – usually for me this is caused by lack of sleep, stress or sickness. I use it every Sunday and it really has helped rejuvenate my skin. I’m so impressed by it! I would definitely would recommend this to anyone.